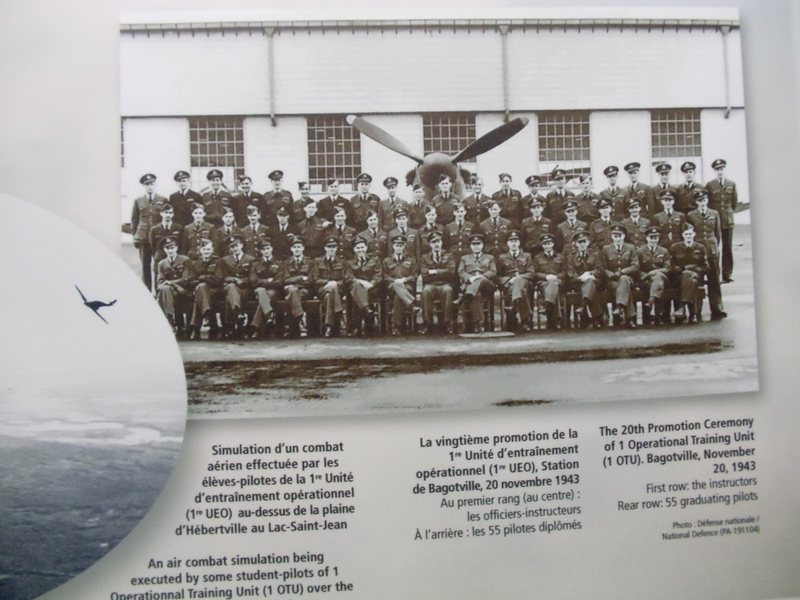 In August 1943 Wally Dove continued his operational training with #1 O.T.U based at Bagotville, Quebec. Even if he was with B Flight, Wally Dove certainly met O. C. Dennis Connolly who was Officer Commanding of A Flight. 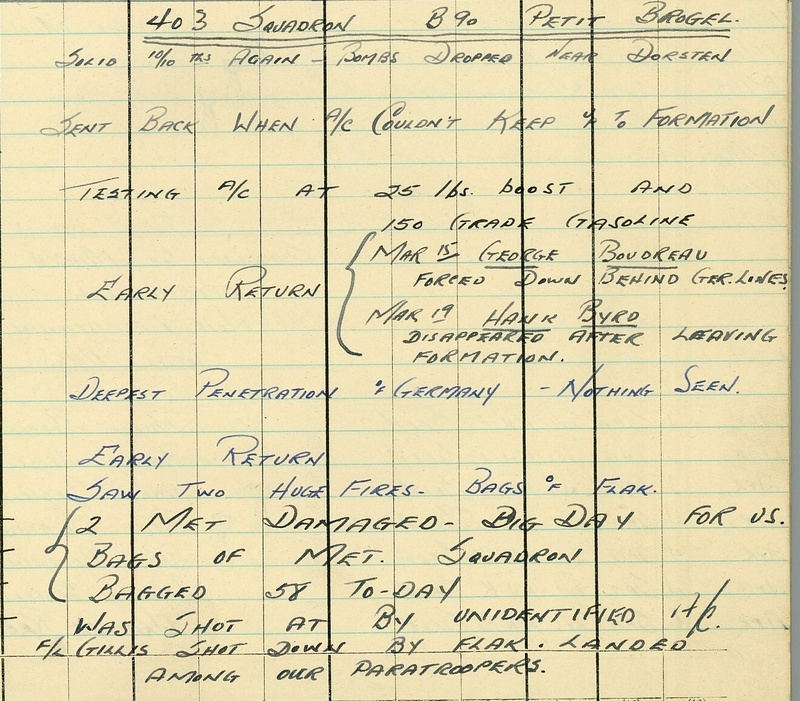 Interesting to see on this logbook page how hitting the target was somewhat difficult. 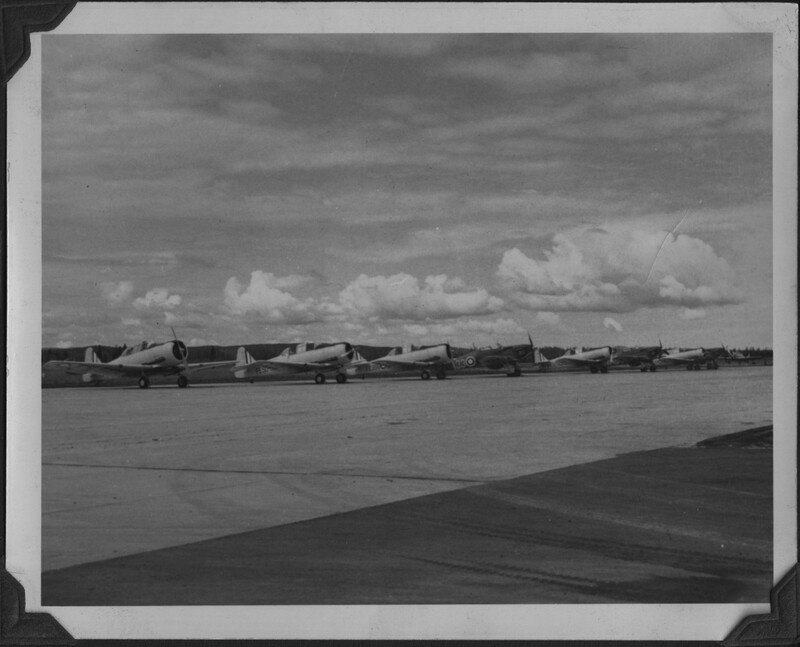 Here is a picture of Harvards and Hurricanes sitting on the tarmac at Bagotville in the summer of 1943. 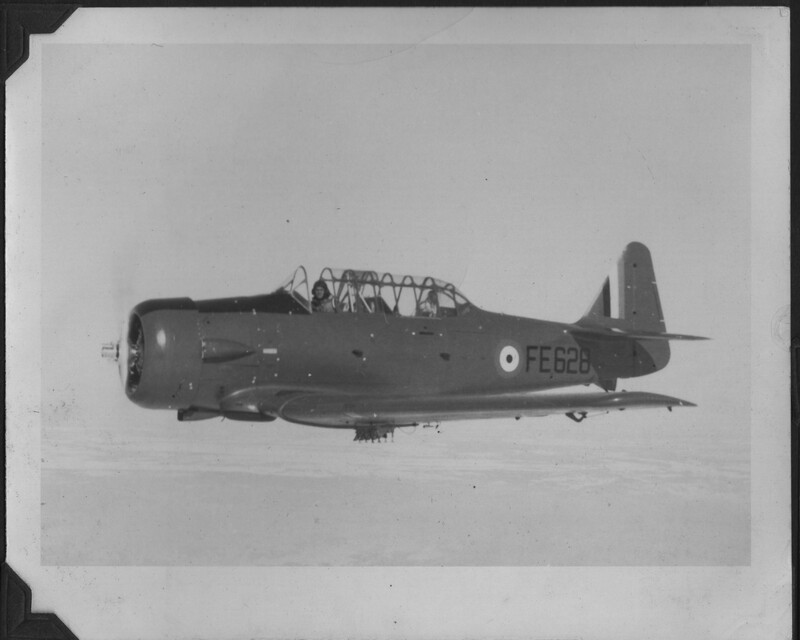 Here is a picture of Harvard FE628 in flight. Wally finished his operational training on August 25, 1943. It seems like Wally is trying to talk to us about his posting at Bagotville, so please take the time to read all the pages. On September 14, Walter Neil Dove was a passenger aboard a Douglas Digby that took him from Dartmouth, Nova Scotia to Torbay, Newfoudland. Walter Neil Dove was joining RCAF No. 128 Squadron, a little known RCAF squadron. Little known? That was before his grandson shared with us his grandfather’s photo album and logbook, and Wally Dove started recollecting about the war in September 14, 2011. 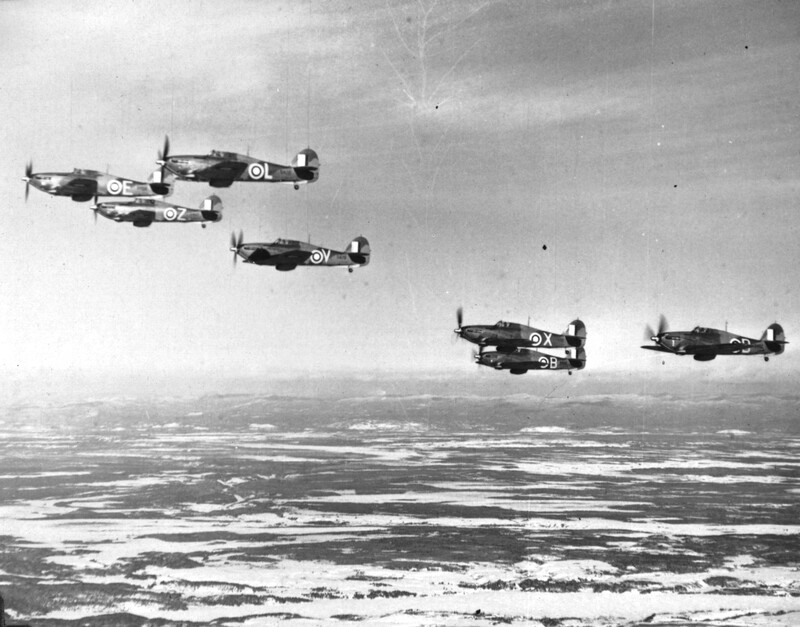 To learn more about another little known RCAF Squadron, RCAF No. 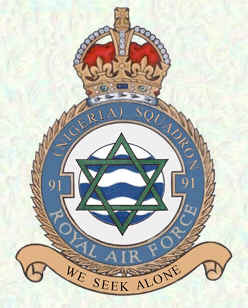 135 Squadron, click here. As a footnote to all this Bagotville story, this is a picture I took of the media display last June. I think I see Dennis Connolly on this picture. 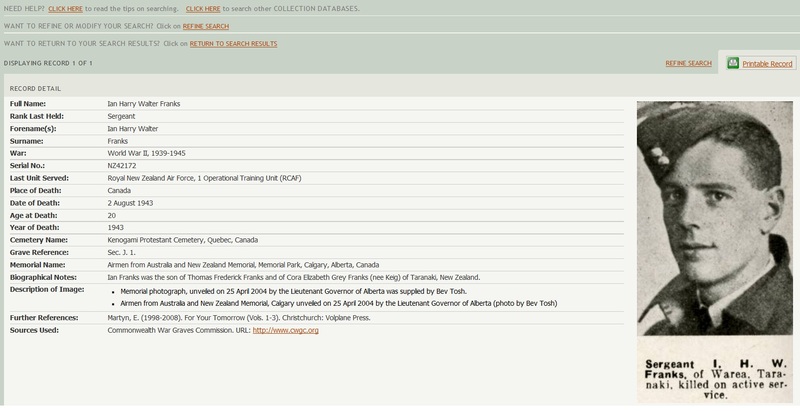 Dennis Connolly left RCAF No. 130 for RCAF No. 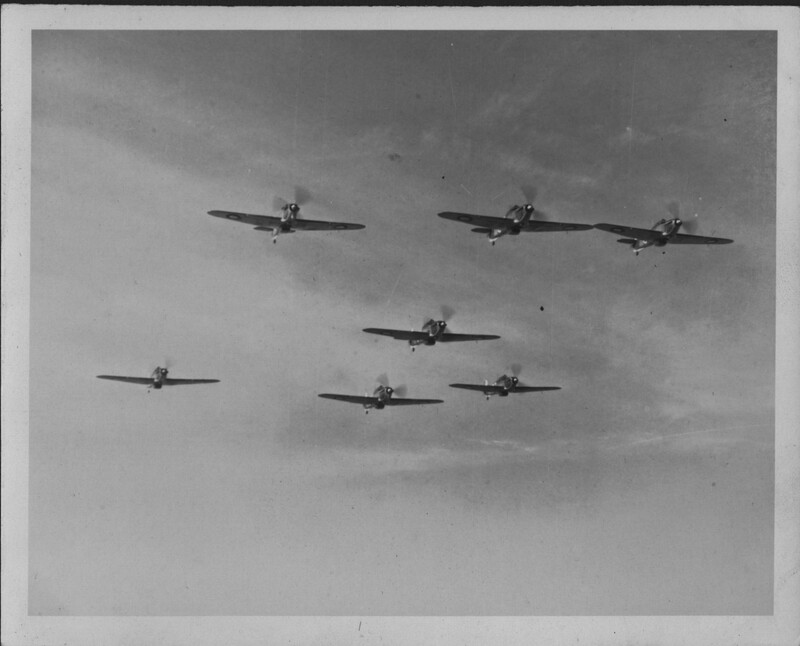 163 Squadron Sea Island on November 16, 1943. Later on he joined RCAF No. 135 Squadron at Patricia Bay! sometime between May 1944 and the end of the war. I think I see Dennis Connolly again on this picture. But I might be wrong… I will have to show him this picture. 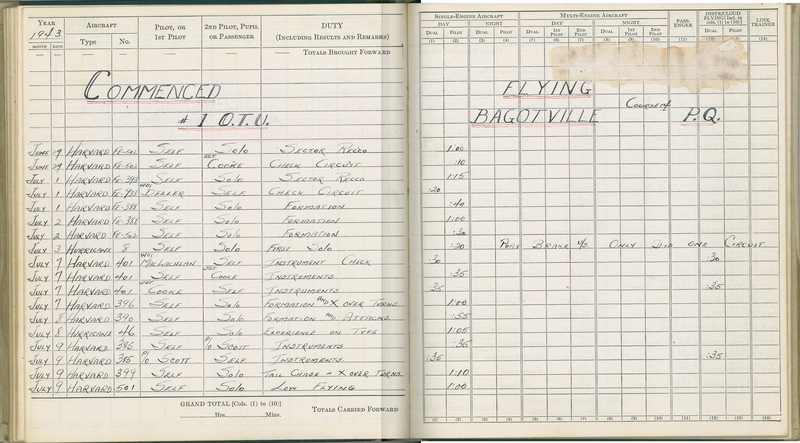 Walter Neil Dove was at Bagotville when a pilot died. This is a picture of the media display at the museum in Bagotville I visited this summer. They were just names on a computer screen. 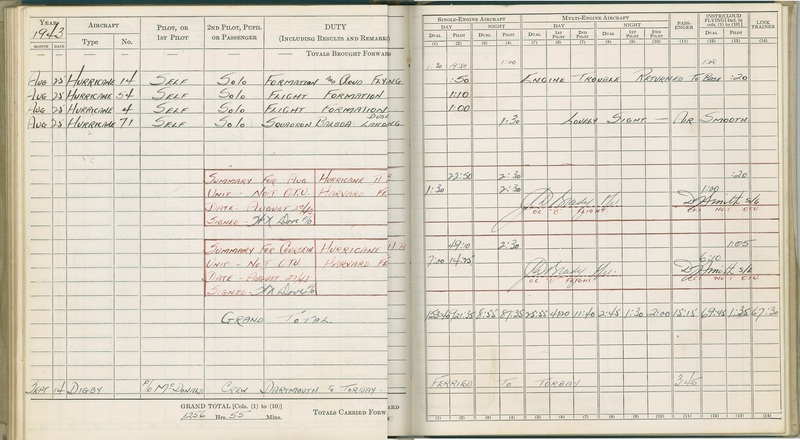 This is the logbook page from July 10 through July 21. 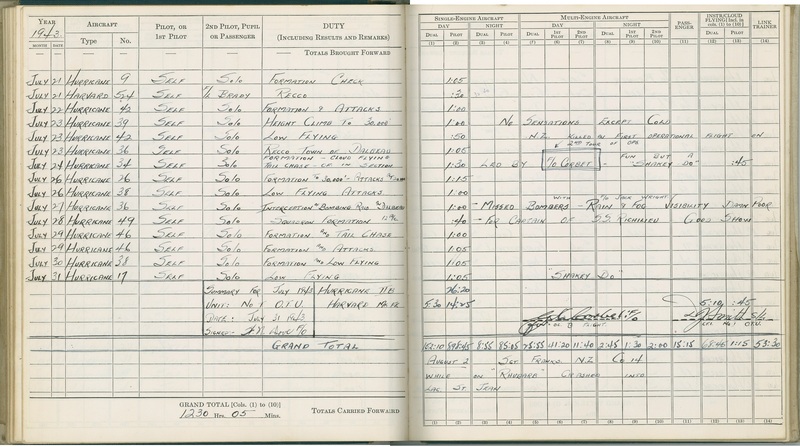 This is the next logbook page from July 21 to July 31, 1943. Wally Dove did not fly on August 2, but Sergeant I. H. W. Franks from New Zeland course 14 did. Sergeant Ian Harry Walter, son of Thomas Frederick Franks and of Cora Elizabeth Grey Franks (nee Keig) of Taranaki, New Zealand, while on Rhubarb crashed into Lac. St. Jean. Commenced # 1 O.T.U. Flying Bagotville Course 14 P.Q. Wally Dove commenced his operational training at # 1 O.T.U. Bagotville. Dennis Connolly was there since February 4th 1943. 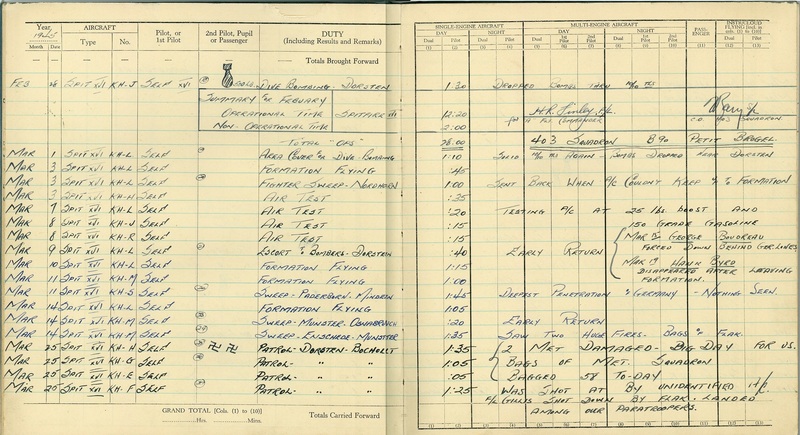 Greg scanned all the logbook pages related to his grandfather’s posting at Bagotville. Did Dennis Connolly and Walter Neil Dove meet? Dennis Connolly was O.C. (Officer in Charge) of A Flight. Wally Dove was a pilot with B Flight. Next time, I will post all the pages Greg scanned with… pictures! 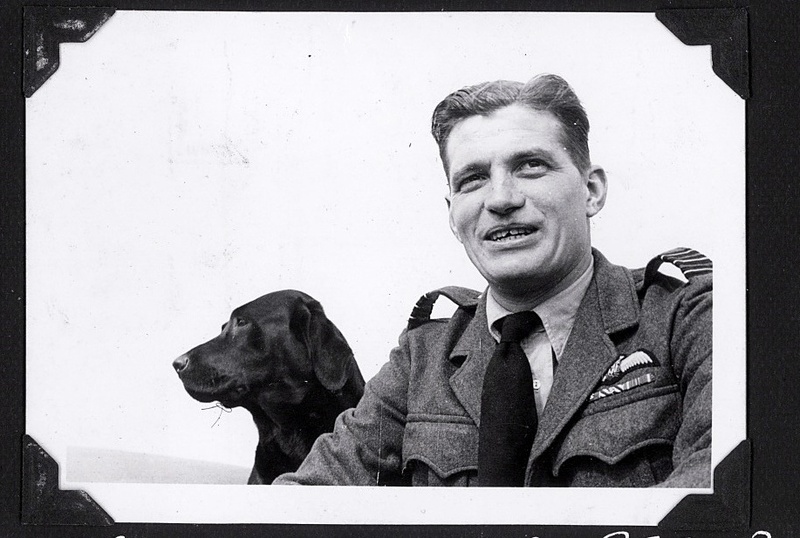 Dennis Connolly was transfered to 411 Squadron after his posting with Treble Two, 222 Squadron. I know nothing about that squadron just like I did not know anything about 403 Squadron before I met Greg in September 2011. I have come a long way since then as many of my readers. I sent him links to three of the articles I wrote about Dennis Connolly. I also told him that I just can’t wait to visit Mr. Connolly again and go through his precious logbook and ask him more questions about this anecdote. Last time he talked about an ASR mission (Air-Sea Rescue). 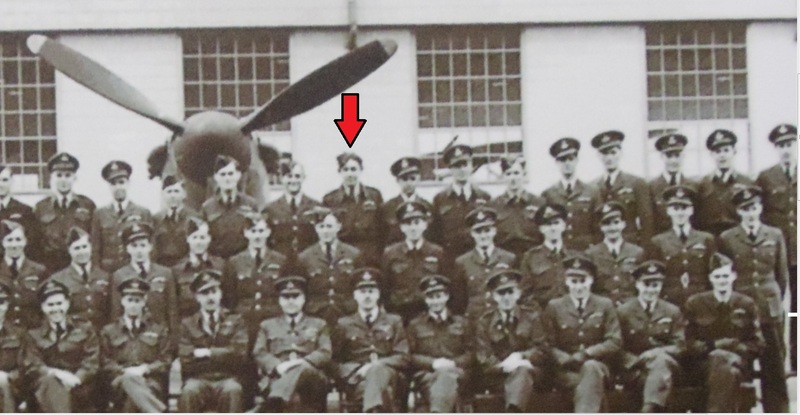 He was with 91 Squadron. He found a downed airman in the Channel and the rescue planes looking for him flew over the spot without noticing him. He had to “advise” them by shooting a few rounds in front of the rescue planes to get their attention. Dennis Connolly recounts on this site the kind of missions he flew with 91 Squadron. Also, we did the air-sea rescue work, which meant that when we lost somebody in the [English] Channel, they had air-sea rescue ready to go out and drop dinghies for them and send out high-speed launches to pick them up, if possible. And we would spot the people who were down for them and leave them. Then they’d pick them up and bring them in. Now, that was one of our duties. [The] Dieppe [Raid, August 19, 1942], yeah, which was just a few minutes. So we had time to refuel and re-arm and then away we went. That particular day, I can remember, we had breakfast before it was daylight and we took off just before daylight and we came back and forth, refueled and re-armed and we were ready to have a lunch but then we were scrambled again, we didn’t have lunch. And we went on until after dark. But it was a real tiring day, that one. 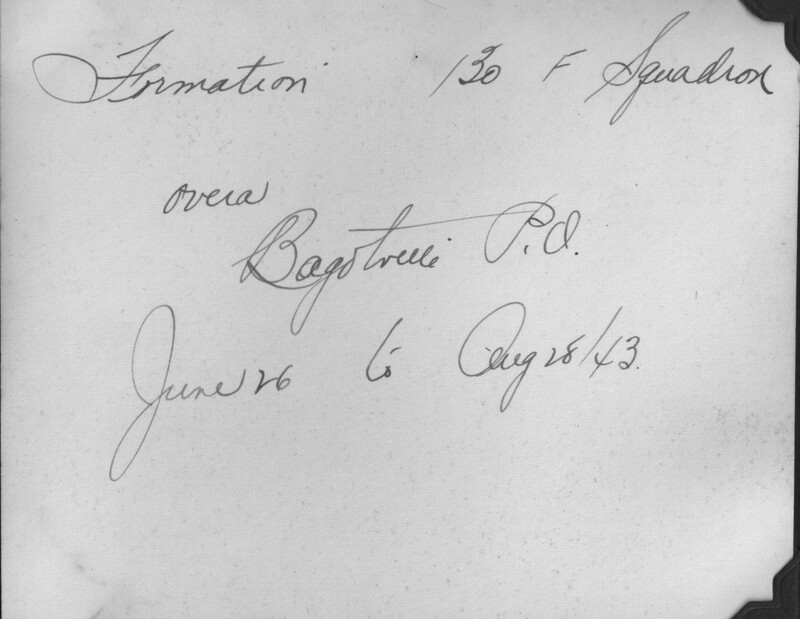 And his posting at Bagotville… where Dennis and his wife Lillian stayed with a French-Canadian family. 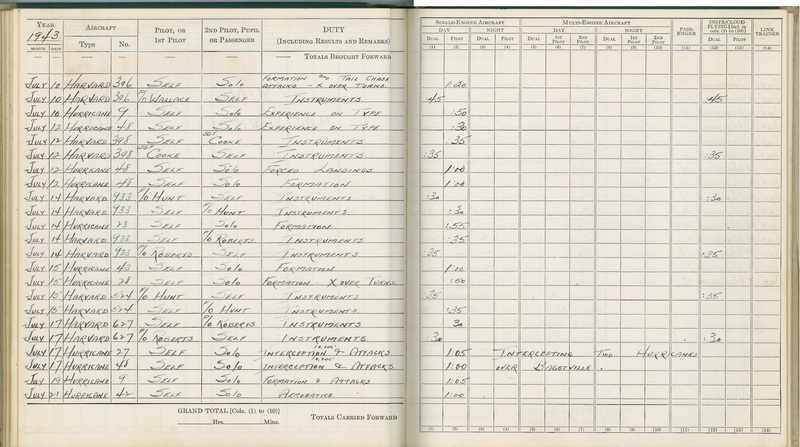 The [British Commonwealth Air] Training Plan that Canada had, they did a very great job of training pilots and a large number. But we had no one who had fighter experience. So our group went over[seas] and we spent a couple of years and then they brought us back to instruct in [Royal Canadian Air Force Station] Bagotville [in La Baie, Quebec], with the knowledge that we had, the present knowledge that we had from our operations and we were able to pass that on and make it part of the training course and so on. So that was one of the reasons why we were brought back. As a footnote to all this before I forget… Dennis Connolly knew the “real” Johnnie Johnson! I am interested in Spitfire Vb R7290 in which P.O. N Warden may/may not have been killed. That particular aircraft was donated by William and Harold Cook from Donington Lincolnshire hence the name Donintonian. I know their daughter who is now in her 80s now and always believed that it was Warden who flew the aircraft. Do you have any particular information on this aircraft in particular Squadron, squadron markings, colour scheme and history? Their daughter still has the original plaque from the Ministry of Aircraft Production and out of the factory photograph etc. Some information is found on this forum. With respect to Spitfire R7290 (Manufacturer’s No. 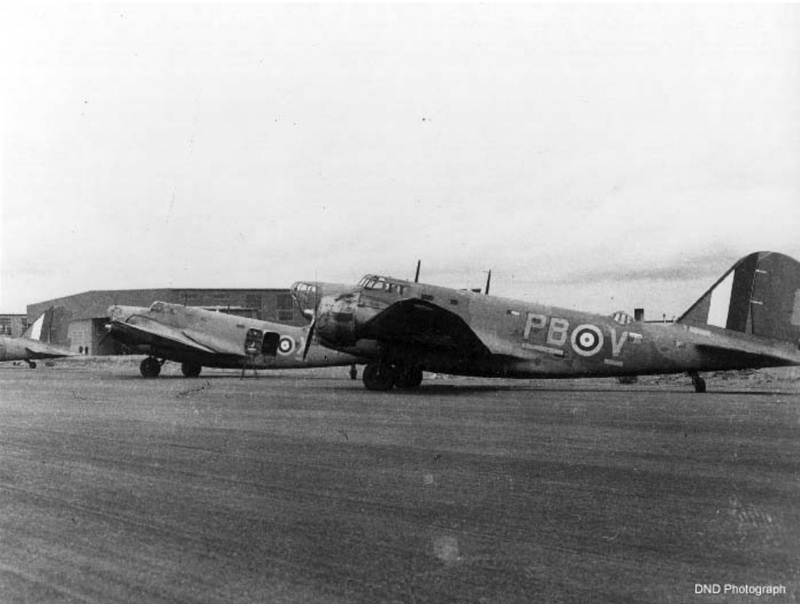 1546) This MXII “Donningtonian” had its first flight FF on 29-4-41, and was then transferred to Maintenance unit 8MU on 30-3 (probably 1942, then to the squadron 91S probably on 4-5 (May) of 1942 and then it “failed to return) FTR from Ops 1-10 which means 01 October, probably 1942. Is it still possible you can find the target from F/O Harold Byrd (Admiral) on 19th march 1945, (missing after leaving formation). In the east of Holland that day there was an assault in the neighbourhood, a small town called Terborg, in a castle “Schuilenburg” there was the residence from General Model (obercom.West). However the day before ” the staff” was leaving. The castle was totally bombed. The Allied stood before the Rhine (Rees) Germany, the end of War was near. Tragical for the 22 years old Spitfire pilot. This is the whole page of March 1945. 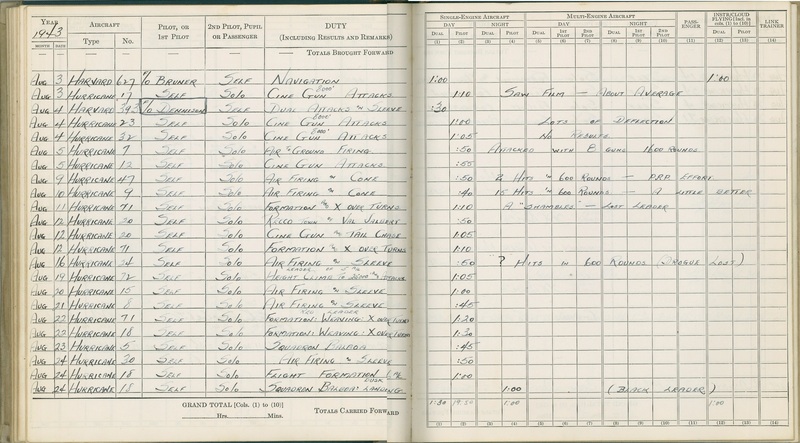 Walter Neil Dove was not flying on March 19, 1945. Target: Fighter Sweep in the Rheine-Osnabrick area. 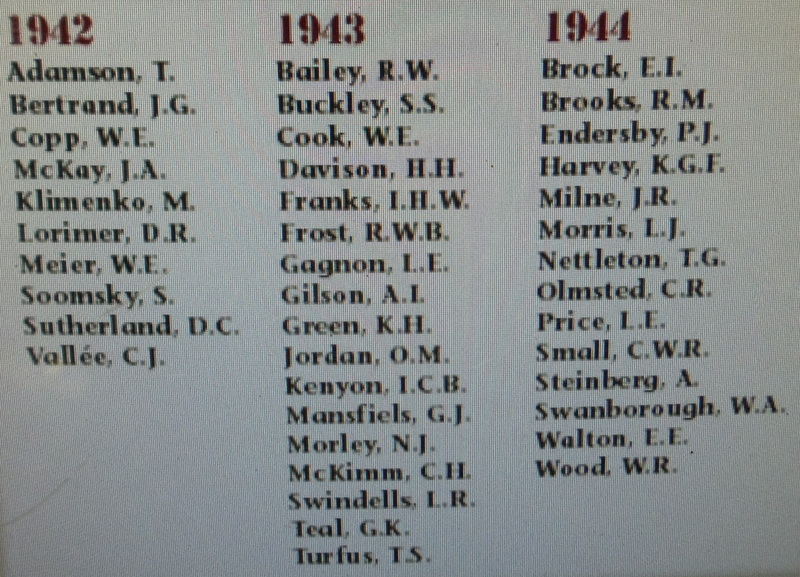 12 a/c of 403 Squadron, 5 early returns. 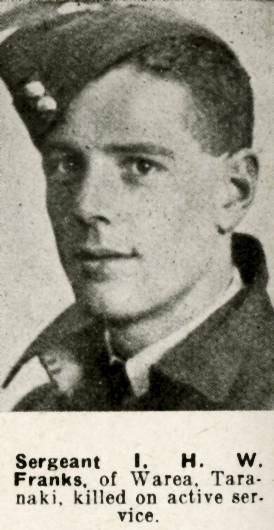 Dennis Connolly was coming from a strafing mission on railway yards in the Paris area. He had no ammunition left and was coming back to his base. This mission is most probably in his logbook. I don’t know if he was with 91, 222 or 411 Squadron. 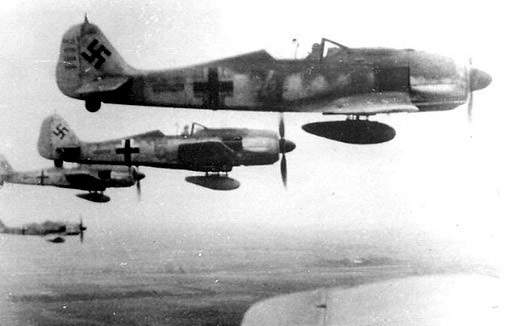 As Dennis Connolly was in sight of the England coast he noticed 5 FW-190s closing in! He knew he was a sitting duck. To his surprise, one after the other decided they would toy with him like five cats preying over a lonely defenseless mouse. But Dennis Connolly was an experienced pilot and he managed to evade every attempt to shoot him down. 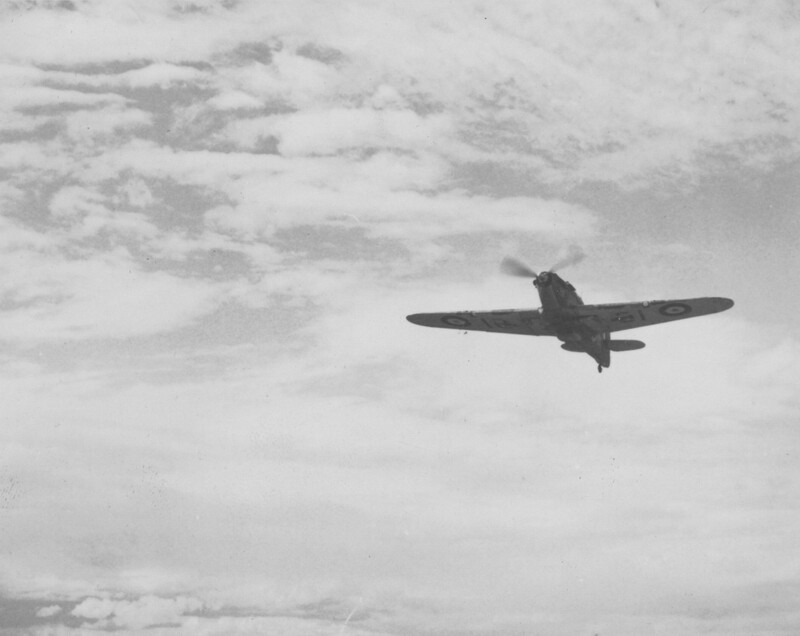 The Spitfire he was flying was a great airplane but the FW-190 was a formidable foe. Two Spitfires appeared out of nowhere and the FWs quickly turned away. Usually veterans will rarely tell such anecdotes fearing that people would not believe them. They prefer not to tell and keep it to themselves. I hope I remember all the details.